👍 Er Facebook-algoritmen god for medier igen? 🔟 Er #10yearchallenge mere end bare en uskyldig gimmick? 🥚 Instagrams mest likede billede er et æg. Er det noget værd? 🤔 Hvordan ser mikro-influencers på partnerskaber? 🤷 Hvad gik der galt for RSS? I hele 2017 og det meste af 2018 har medierne tabt trafik og medvind fra Facebook. Men i årets sidste måneder er udviklingen vendt og danske medier oplever atter venlige skulderklap fra Facebook. …i løbet af de næste tre år. Det er i øvrigt fuldstændig samme sum, som Google vil give. Over de næste tre år. Facebook and Google dominate the online ad market, which makes it very, very difficult for most digital publishers to make meaningful money from their own online ads. So unless Google and Facebook are willing to spend much more than the $200 million a year they have collectively pledged to subsidize news outlets, they are likely to take more money from publishers than they are routing back to publishers. Justitsministeriet er stadig i vildrede over, hvordan EU-dom fra juni sidste år om Facebook fan-sider skal tolkes. KL har anbefalet kommunerne at fortsætte praksis uændret, indtil der forelægger en afklaring – og påtager sig dermed ansvar for eventuel overtrædelse af persondataforordningen. As Facebook notes, this also means that there may well be people who’ve been added to your group who’ve never actually visited it. So now, these users will not be automatically added, but will be put onto a new ‘Invited’ list in the group admin dashboard. Facebook told Reuters on Tuesday that it would extend some of its political advertising rules and tools for curbing election interference to India, Nigeria, Ukraine and the European Union before significant votes in the next few months. In our latest Confessions, in which we exchange anonymity for honesty, we asked a former Facebook executive about Facebook’s attempts to make Watch work, the culture inside the company that sometimes prevents Facebook from making necessary improvements on product, and how that has impacted Facebook’s relationship with publishers. The conversation has been lightly edited for length and clarity. Multiple sources confirm that Facebook has spent months building LOL, a special feed of funny videos and GIF-like clips. It’s divided into categories like “For You,” “Animals,” “Fails,” “Pranks” and more with content pulled from News Feed posts by top meme Pages on Facebook. My flippant tweet began to pick up traction. My intent wasn’t to claim that the meme is inherently dangerous. But I knew the facial recognition scenario was broadly plausible and indicative of a trend that people should be aware of. It’s worth considering the depth and breadth of the personal data we share without reservations. “The easiest sell is [Facebook Stories are] efficient. If you don’t want to invest [additional time and resources], you can cross-post from Instagram Stories. You don’t always have that luxury [on social], but you do have the option to check a box, so why say no before you know? Right now, we’re still in that learning phases. We’re really still getting our feet wet and trying to be as efficient as possible,” Mamo said. As Facebook continues to push ahead with Facebook Stories, and encouraging Stories use, it’s trying out a new option which will enable users to share events they’re interested in totheir Story, where their connections will also be able to register interest for the same, right from the Story screen. Der er ikke nogle vilde “a ha!”-oplevelser imellem, men det kan blive en god tjekliste, du kan bruge fremover. Det kan lyde pudsigt, når nu Facebook er verdens nok største overspringshandling, men tjek nogle af de tips, du kan bruge. Twitter is launching a new program to let users reshape how conversations on its site look and feel, the company announced today in an interview with Engadget at CES 2019. The idea is for users to try out new organization and context features with their followers, such as thestatus updates and “ice breaker” tweets we saw being tested last year, which are designed to encourage people to talk to each other. Twitter har automatisk slået privatlivsfunktionen fra og dermed offentliggjort tweets for de brugere, der har benyttet sig af Twitters Android-applikation. Og det er vi nok mange, der er glade for. Many years ago, we introduced the option to automatically post your public YouTube activity with your social media followers on both Twitter and Google+. Since then, we’ve found that social sharing works better when the message is more customized and takes advantage of social media features, such as @mentions. But these days, Snap’s ad network is not so protected. As Snapchat has grown its self-serve ad system, the company has opened itself up to bad actors and scrutiny — but don’t expect that to impact marketers’ Snap budgets just yet. To better understand their perceptions about content creation, social media use and brand collaborations, we recently surveyed 1,000 global micro-influencersregistered on our platform SocialPubli.com, in order to get a better idea of their process, approach and influence. Many are asking if Gillette’s commentary on toxic masculinity is too controversial. The answer will come when sales are reported. 18 pct. af den danske befolkning lytter til podcast ugentligt, viser DR Medieforsknings rapport. Det er især de unge og de højtuddannede, der har taget podcast-formatet til sig. Den samlede radiolytning gik tilbage i 2018. This podcast explores the benefits, opportunities and challenges of this new proximity; bringing together unexpected pairings of business leaders, mavericks and entrepreneurs who share surprising parallels in values, visions, experiences and ideas. Det kan påvirke vidner, når medier live-blogger fra retslokalerne, mener advokat, som vil have den praksis afskaffet. Højesteret skal tage stilling til spørgsmålet. Projektet er bl.a. støttet af Google. WordPress.com parent Automattic has announced a new publishing platform for news sites, designed to help small to medium-sized publications generate more revenue. In its seven years, Matter.vchas shepherded 73 media startups through eight accelerator programs, funded by two rounds of investments from a bunch of media companies. But to put it in old-school media terms, the presses have ground to a temporary — but maybe permanent — halt. NBCUniversal chief Steve Burke hinted at it in a holiday note last December, but now it’s been made public: The company plans to launch a service in 2020 that carries the company’s catalogue of movies and TV shows and plans to have some originals and outside content as well. In this progression, what is unique for Generation Z is that all of the above have been part of their lives from the start. The iPhone launched in 2007, when the oldest Gen Zers were 10. By the time they were in their teens, the primary means by which young Americans connected with the web was through mobile devices, WiFi and high-bandwidth cellular service. Social media, constant connectivity and on-demand entertainment and communication are innovations Millennials adapted to as they came of age. For those born after 1996, these are largely assumed. JP/Politikens Hus har valgt Appnexus som leverandør til mediekoncernens teknologiske fundament for digital annoncering. En hovedårsag er selskabets åbne platform, siger koncerndirektør. Over the past two years, Facebook has begun to address advertisers’ concerns that they’re not provided enough transparency into and control over where their ads appear across Facebook’s Audience Network ad network of publishers’ sites and mobile apps. IT-gigant anerkender, at man er nødt til at indrette sig på GDPR. Det fremgår af Googles nye privatlivspolitik, der får effekt på mandag. The company plans bring its personalization technology to podcasts in order to make better recommendations, update its app’s interface so people can access podcasts more easily and broker more exclusives with podcast creators. It’s also getting into the business of selling ads within podcasts as a means of generating revenue from this increasingly popular form of audio programming. Multiple studies show the growth of ad blocking on desktop has steadied while the number of blocked impressions on mobile is growing, although slowly. Partly this growth is due to the number of ad impressions served on mobile growing as traffic migrates this way, but there are also new ad blocking entrants in the mobile market. E-avisen får en ny og opgraderet rolle i Ekstra Bladets digitale abonnementstilbud, der udvides. Samtidig sættes priserne op for de øvrige digitale abonnementer. Ritzaus Bureau udvider udviklingsafdelingen for at kunne søsætte flere automatiserede nyhedsprodukter bl.a. om ejendomshandler. “Vi oplever en stor efterspørgsel på nyt, relevant indhold, der kan produceres billigt af robotter,” siger udviklingsdirektør. That battle, which is playing out around the world, is now bubbling to the surface. The combined messaging presence of Facebook’s Messenger, WhatsApp and Instagram gives it worldwide sway. But in the U.S. and other valuable developed markets, Apple has a powerful presence. RSS er en ekstrem smart teknologi, der gør det nemt at syndikere indhold og følge eksempelvis hjemmesider uden at skulle besøge dem eller abonnere på nyhedsbreve. Men RSS er ikke den succes, det var – og da slet ikke den succes, det så ud til at kunne blive. Hvorfor? 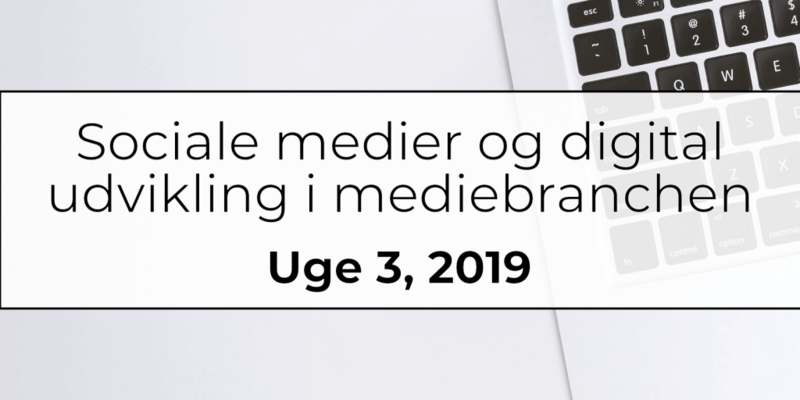 Selvom mediebureauerne har investeret i teknologiske platforme de seneste år, forventer flere at øge investeringerne i teknologi i år. Det bliver dog ikke i platforme, men i licenser, abonnementer og teknisk knowhow. Og det er altså meget rart at vide. Google’s John Mueller reminds site owners that the most technically well-optimized site won’t always have high rankings without great content. Of those who’ve used voice assistants in their cars, 68 percent do so monthly. That’s compared with 62 percent monthly usage among smartphone voice assistant users. Smart speakers have the highest rate of voice assistant monthly usership — 79 percent — but that’s not surprising as voice is the only way with which to communicate with speakers.